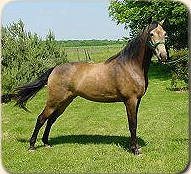 My Royal Blue is a solid perlino gelding with no white markings. 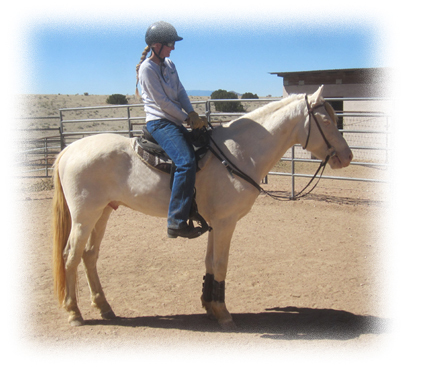 He is a large boned horse and stands 15.3 hands at 2 years. 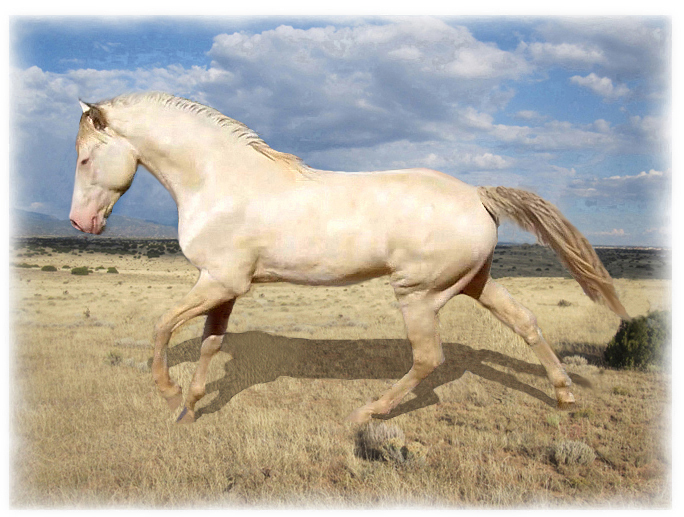 He has the size, bone, gentle temperament, athleticism and gaits of his grandsires Royal Ivory and Blue Gold. His DNA test indicates he is Ee, Aa, CrCr. 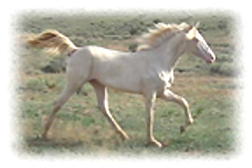 Blue also traces to Gunsmoke Fireball through his dam, Darrah's Cappuccino Girl, and to Allen's Gold Zephyr (Roy Roger's Trigger Jr.) through his great~grandsire, Jetstar's Sunrider. 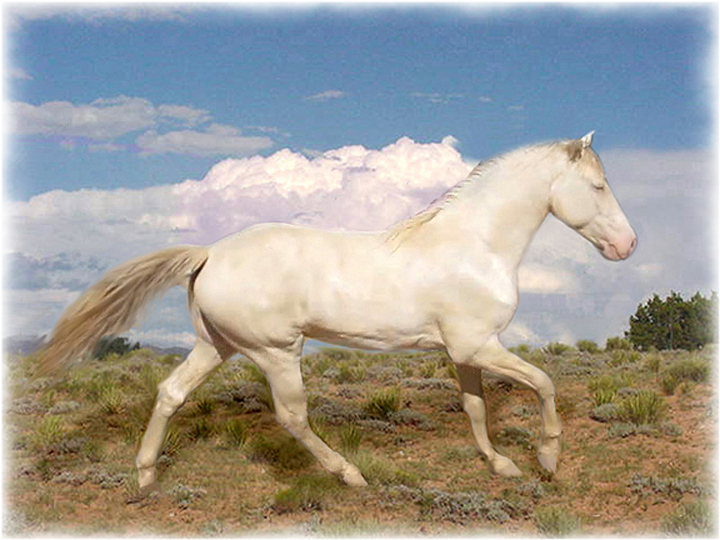 When studying Blue's pedigree you will notice the absence of World Grand Champions from the mid~1960's to the present, the only one being Ebony's Mountain Man, 1980. 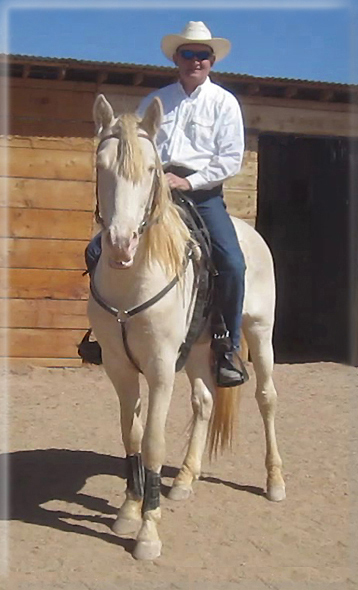 Walking horses originated out of a need for a utilitarian~versitility horse. 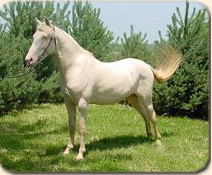 Blue's breeding has remained true to this vision. 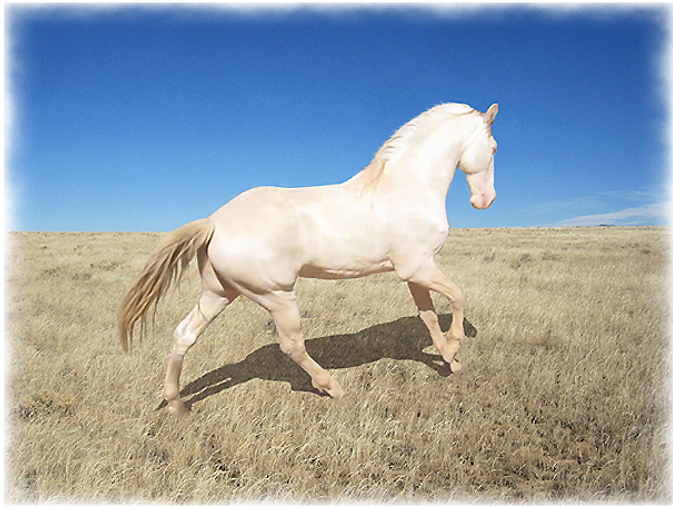 He is the embodiment of foundation breeding manifested in his outstanding walk, rack, and canter plus his almost affectionate attraction to humans. 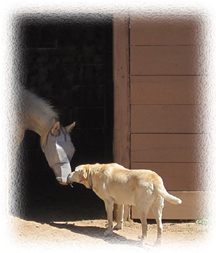 He has no influence of 'big~lick' horses which were bred for the pace. 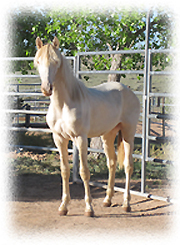 Tennessee Walking Horses, Perlino,Walkers, Racking, , Palomino, RHBAA, SSHBEA, IPWHR, Gaited, Spotted Saddle Horses, Tobiano Horse, Dilute, Gait, Black and White, New Mexico, Tobiano, Palomino, homozygous tobiano, Last Chance Bred Horses, Flat Shod, Naturally Gaited Horses, Southwest,Tennessee Walking Horses, Walkers, Racking, Stallion, Palomino, RHBAA, SSHBEA, IPWHR, Gaited, Spotted Saddle Horses, Tobiano Horse, Dilute, Gait, Black and White, Flat Shod, For Sale, New Mexico,Tobiano, Homozygous Tobiano Palomino,Tennessee Walking Horses, Spotted Saddle Horses, Homozygous Tobiano horses, breeding, training and selling naturally gaited tennessee walking hroses and homozygous tobiano walking horses, homozygous.